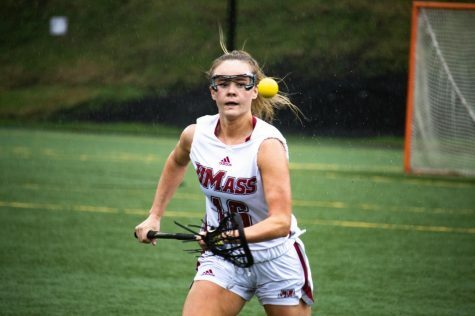 Off a fresh victory over Holy Cross on Wednesday, the Massachusetts women’s lacrosse team will try to earn two straight victories as it faces off against rival Connecticut tomorrow afternoon. 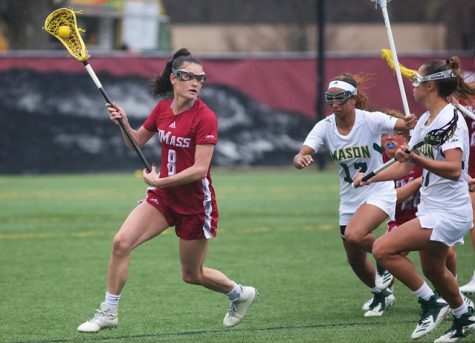 After a competitive contest against the Crusaders (0-1), the Minutewomen (1-1) will travel down to Storrs, Conn. where they will compete against a Huskies team that hasn’t played yet this season. “They have a lot of great athletic players, and I’m sure it’s going to be a great game,” Venechanos said. 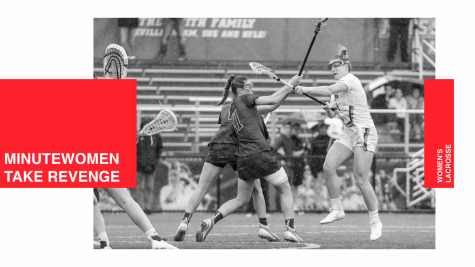 The Minutewomen are hoping to bank on the things that went right in their game this past Wednesday, where they won by an impressive nine goals. The game against the Huskies is six years in the making, as this is the first meeting between the two sides since 2004, when UConn defeated UMass, 19-13, in a shootout. 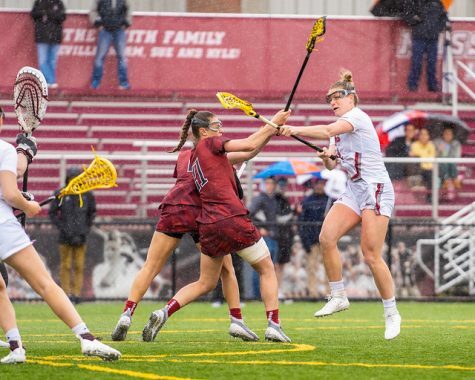 At the start of the last regular season meeting between these two teams, the Huskies jumped all over the Minutewomen with a five goal lead. 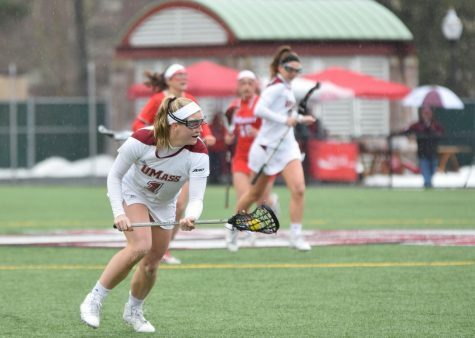 Eight minutes into the contest, former midfielder Kerri Connerty nailed a shot to rile the UMass offense. Connerty’s goal was not enough to stop the UConn offense, as the Huskies responded with four more goals. Trailing by seven, the Minutewomen tried to mount a comeback with two strikes by junior Maura McGarrity. UConn added another goal at the end of the first period, to take an 11-6 lead. The game tightened up after play resumed. 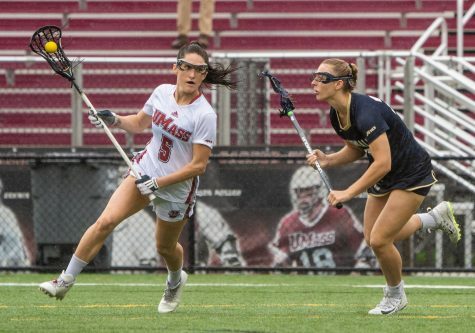 Despite a hurried and quick-moving UMass offense, the Huskies’ defense was too tough to handle. If the last meeting between these two teams is any indication of what Saturday’s game will hold, another close contest is expected. The Minutewomen also took on UConn on Oct. 4, 2009 in an exhibition match during UMass’ fall-ball schedule. Adding to the rivalry between the two teams is the fact that two UConn coaches have connections to the Minutewomen. The head coach of the Huskies is Angela McMahon, who was the assistant coach of Venechanos from 2007-2008. 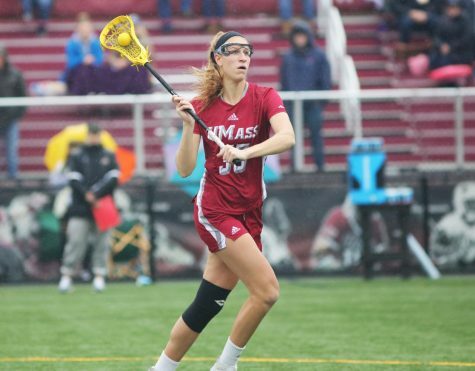 McMahon’s assistant coach, Melynda Zwick, graduated from Massachusetts in 2008, and is in her second year at UConn. Despite the connections between the schools, the Minutewomen players don’t seem to be phased at all. “We have to worry about ourselves. We have to do everything we’re practicing,” Lyons said. 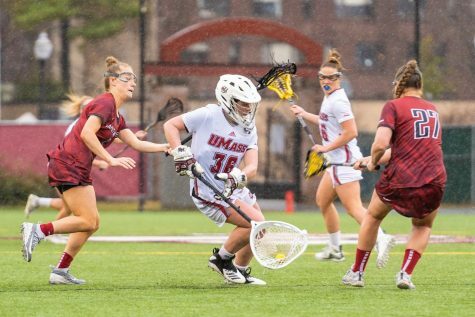 UMass will have the advantage of having already played twice this season, while UConn, like Holy Cross, has yet to play this spring. This gives the Minutewomen the opportunity to face a team that hasn’t had any in-game experience. 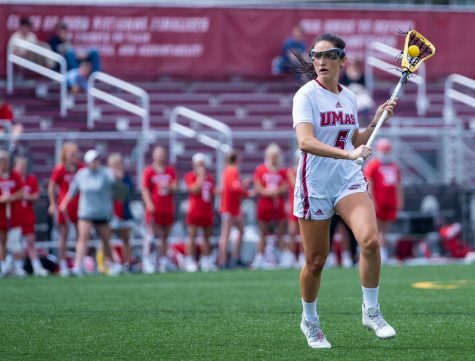 The match against the Huskies will be the second road game of the season for UMass, which played Northwestern in San Diego, Calif. 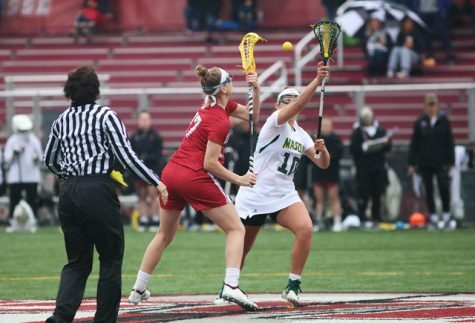 The next time the Minutewomen will be on the road will be March 13th when they take on Stony Brook.